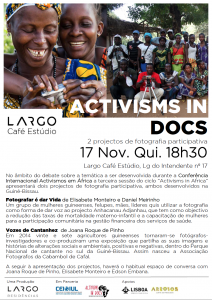 Many African countries experience a context in which society is constantly faced against the State or private corporations. 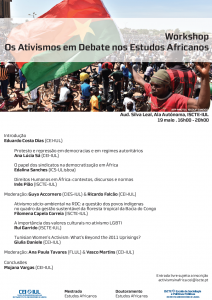 In this situation, civil society organizations become key players in the continent’s political chessboard. 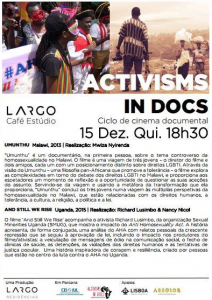 Acting in various fields and often seeking non-traditional forms of organization, they pose new challenges to the latter’s analysis and interpretation. 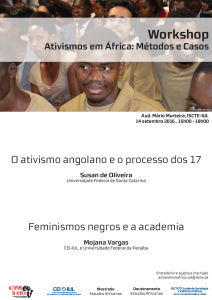 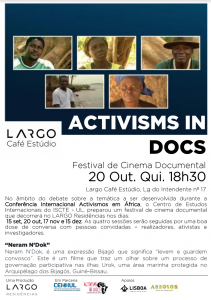 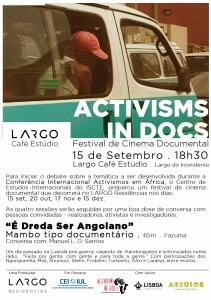 To meet these defiances, the Center for International Studies of the Instituto Universitário de Lisboa (CEI-IUL) promotes, between 11 and 13 January 2017, the International Conference Activisms in Africa, which will discuss the new profiles of social activism in Africa and the perspectives of change they bring.